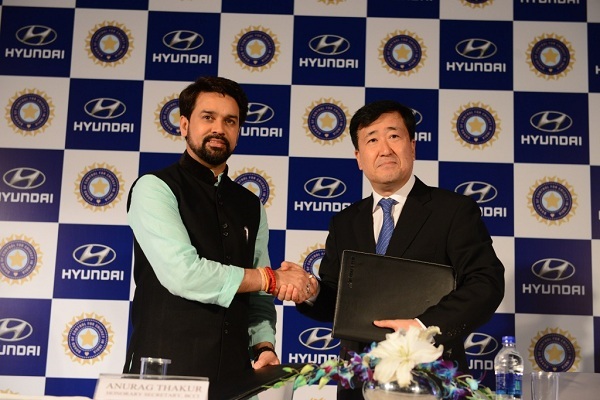 Hyundai Motor India Ltd. (HMIL), the country’s largest passenger car exporter and second largest car manufacturer has entered into a four year partnership with the apex cricket body, Board of Control for Cricket in India (BCCI) as an Official Partner for all its matches in India along with exclusive category rights. 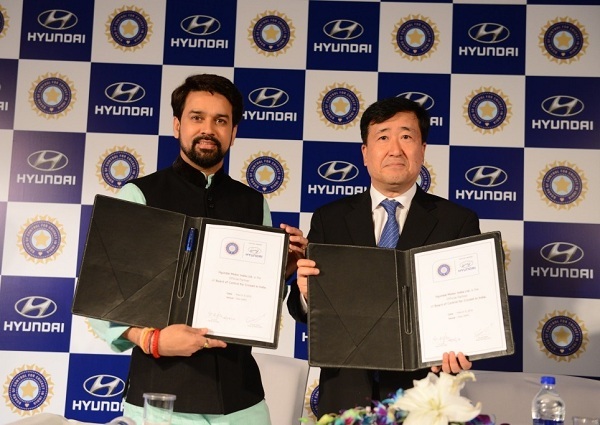 Commenting on the partnership, Mr. Y K Koo, Managing Director and CEO, Hyundai Motor India Ltd. said, “Hyundai is extremely proud to be the Official Partner of the Board of Control for Cricket in India (BCCI) for the next four years. Indian’s love their cricket, and they love their cars and that’s one of the reasons Hyundai has always been closely associated with a sport like cricket . We want to keep the excitement around Hyundai brand by engaging our customers at every point. This partnership is a part of Hyundai’s efforts to expand its presence in global sporting activities like Cricket, Football, Golf and World Rally Championship across worldwide markets. Hyundai sees cricket partnership as a core element of its strategy, playing a vital role in connecting global customers to our brand ". As a dynamic automotive brand, Hyundai has always connected with sports globally. Aside from providing the vehicles, Hyundai will initiate innovative activities during the tournaments to give ‘Experience Hyundai’ to all the Cricket Fans in various parts of the country. To reach out to people in multiple cities, Hyundai will conduct Trophy tours in association with BCCI to build the excitement prior to the tournaments. The In-stadia car display and branding on team dug-outs during T20 matches` will be the major on ground promotional activities during the tournaments. Hyundai is the Official Partner of BCCI for all matches to be played over the period of four years across the three formats- Test, One day and T20. Under this agreement, Hyundai fleet of premium cars would be used for transporting the various stakeholders of the game throughout the event. The Hyundai fleet offers a collection of versatile vehicles able to provide travelers exceptional comfort and safety for transfers to and from matches and official engagements. An array of premium features and design elements ensure drivers and passengers are able to fully enjoy state-of-the-art technology, superior levels of comfort, and stylish interior and exterior design.